My husband often shares how he finally accepted the call to ministry. For so long he ignored the Voice that kept speaking –tugging– nudging his heart. Finally one day in prayer, as a wrestling match was going on inside his heart, God spoke with the soft voice of the Holy Spirit and gave Jeff some great truths. “I never called you to pastor a church, I just called you to follow Me”. Jeff’s granddaddy had been a pastor of a Baptist church in a small community for over 30 years. Jeff’s younger brother is an associate pastor in a large church in a college town (same church for 30+ years). Jeff had never felt drawn to either. He’s not a limelight kind of guy–he’s a worker bee. Loves to serve and do for others without being seen. God can use that. HOWEVER, just because someone loves to serve off stage, doesn’t mean that they will remain there. God has a purpose and plan that is being opened up daily as we continue to “follow Him”. Jeff said, “yes” to God’s call- and plan of action. Ministry has many avenues–and there are so many ways and places to serve and be a light for Christ. Missions has always been at the heart of what we think about– Jeff’s first trip was in 1994 and after that–it seemed God began to put it deeper in our spirits each year. When missionaries would come to our church-it left me in tears–wanting to do all I could. We often think that unless we “go”, we aren’t doing what we can do. NOTHING could be further than the truth! There are things we can do from our own home! Blogging is a big one–that’s mission work! You never know who will read–or when, but put the Truth of Christ and His love for others out there! Another one is “support a missionary”. Pray for a missionary! Find out things they need and help fill their list. As Jeff and I embark on this new road, we realize all the things we have done in the past for missionaries is JUST as important as going. Helping one get there–is HUGE. One of my sweetest little friends had a birthday party this year. Her 9th. Instead of gifts–she wanted all her family and friends to bring her school supplies…..so she could give them to US for our mission trip. Good grief I cried over that. She thought that up on her own. No one coerced her…or even suggested. She is sensitive to the voice of The Holy Spirit and obeyed. As we get older–it gets harder to listen and obey…why? Because we think we need to insert our ideas and plans. News Flash (to myself), God doesn’t need help. He will give detailed instructions when it calls for it. There are times though that He expects us to use the ingenuity that He gives us…that’s relying on the direction of The Holy Spirit. One of the ladies from our church–who is also my daughter’s mother-in-law, made almost 500 salvation bracelets. My son-in-law ordered business size cards with the colors and explanation of each color, the plan of salvation in Spanish. Okay–sounds simple–but it was crucial to us sharing the Gospel of Jesus Christ. No one told either of them to do that. They listened to the voice of The Holy Spirit–and obeyed. Another friend came to me and said her church ladies makes little dresses in various sizes and wanted to know if we would take some with us for the little girls in Bolivia. Absolutely. It is the rarest of things for a little girl to get something brand new–RARE. Especially those that live in the outlying villages. Poverty dwells in abundance. So they made 50 dresses and bought matching underwear and bagged and tagged each one–with a sweet card that let the little recipient know she is loved and cared for. No one asked her to do that….They followed their hearts and did what they knew how to do. Sew. What can you do? Have you ever thought about it? Some think that unless I have $100 to give–that’s not really enough. Let me share with you what one missionary told me this last week: “I would rather have 20 offerings of $5 from those who sacrificed to give than one $100 offering”. Mission work comes in all shapes and sizes. Mission work is the day-to-day stuff. Encouragement to one who is downhearted. A cooked meal for the mom who is over-worked-over-stressed and on the edge. A pack of diapers to the mom of the 12 month old–because at that point people forget that it’s still a need–and she gets very little rest. Mission work is offering to sit with the kids while the busy mom takes a walk to clear her head–and you straighten her kitchen while she’s out. Mission work is praying –at all hours of the day or night–whenever that nudge comes. Simple mission work is often overlooked because we think it’s got to be big and grandiose. It just has to be from the heart. Big or small. That doesn’t matter….just give from the heart. Don’t let the head rule. The head will talk us out of doing–or going–or giving. The head will convince us that we “can’t”… or that it’s too small to count or matter…. or “what will they think of me”…. There we go…mission work work is not about “us”….it’s about them. So. What can I do? More that what we are currently doing. God will absolutely use the very things that YOU love to do! If you love to sew–God will use it! If you love to cook—OH HOW HE WILL USE IT! If you love to give–He has missionaries all over that needs supporting…. and if you are willing to get in your “war room” and pray…. That, my friend, is one of the greatest ways we can serve as a missionary. I would love to hear of the ways that you enjoy serving! There is so much to do–so many who have never heard of Jesus Christ–who don’t know that He came to this earth as a baby, lived and died for our sins! We have little time left–we must do all we can today. We lead mission teams–and love sharing with others the blessings that come from going-doing and giving. The more we do–the more we WANT to do. And now, God has called us beyond the borders of our comfort zone–and no joke–it’s a bit scary at times to consider all the mountains that loom in the distance–BUT God will supply our strength and resources as we continue to take steps of faith with Him. I am totally human…and break out in a hot-flashin’-sweat just thinking about it at times–but really–there is NOTHING in the world I want to do other than follow Jesus wherever He leads. Will you pray with us? We would love to hear from you! 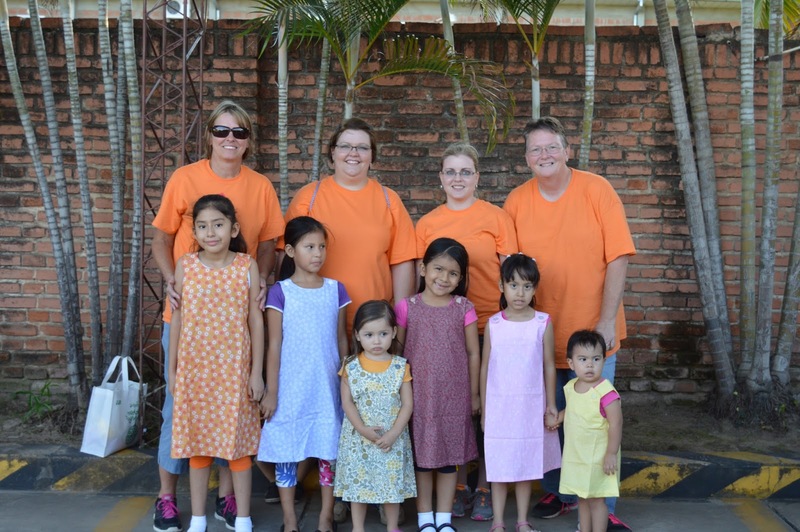 You can find out more about our ministry and trip details and how to contact us at focusforwardminstries.com. Thank you in advance for being our prayer warrior! That’s what YOU can do! This entry was posted on Friday, September 25th, 2015 at 1:00 am	and posted in faith, Focus Forward Ministries, Missions. You can follow any responses to this entry through the RSS 2.0 feed. « I need to tell you something. amen to this precious post, I am praying for you dear friend. I love you.